This is a question that gets asked regularly and in particular when there is a lot of earthquake activity going on. Surely this must “mean something”! Well, yes, but not necessarily something volcanic. In fact, most of it is not volcanic at all but tectonic as the North American and Eurasian Plates slowly separate, driven by the Mid-Atlantic Rift (MAR). Let us take a closer look at the Vatnajökull earthquakes for the preceding 48 hours! 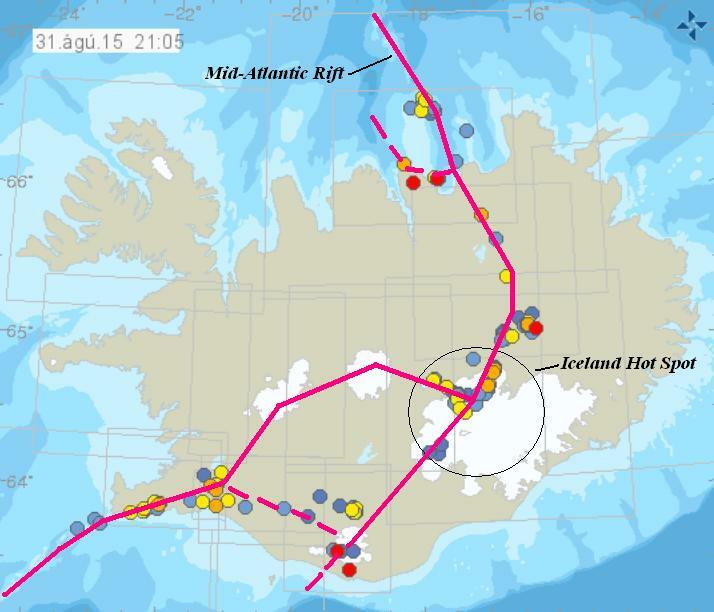 As earthquakes occur, they are detected by the “SIL stödvar” network (don’t you just love Icelandic!). Then, based on the times and amplitudes with which the earthquake-shockwave arrives at several of these stations, an automated process, an algorithm, calculates the approximate parameters of the earthquake – time, location, depth, strength (magnitude) and quality (accuracy of the calculation). One should always be very sceptical of any quake assigned a depth of 1.1 km, the default setting when the algorithm cannot decipher the seismic data, and those with a “quality” of less than 90%, especially those below about M2.5! Wait until the seismologist on duty has verified the calculation – which is signified by the quake being assigned a 99.0% “quality”! Earthquakes can and do occur at almost any depth from zero down to 150 km or so. The greater the depth, the more ductile or malleable the rock is due to increasing temperature, thus it takes much greater force to result in even a moderate earthquake. Also, magma sitting in a magma chamber at five or ten km depth does nothing except cool (and become even less prone to erupt) unless there is an influx of fresh, hot magma from below. Thus, earthquakes at depths above 15 km are most likely to be tectonic in origin. If they occur in a known zone of hydrothermal activity such as 0-3 km below most Icelandic volcanoes such as Katla or Grímsfjall, they are probably hydrothermal in origin, superheated water flashing into steam. However, the closer an earthquake is to the mantle, the more likely it is to be associated with upwards movement of magma. If a rift opens up at the bottom of the crust, as is likely along the MAR, it results in a volume of space where the pressure suddenly falls. Now think about boiling water! At sea level, water boils at 100C. But at the top of Mount Everest it is only 71C because of the substantially lower air pressure. It is a similar thing with magma. If a rift opens up, a process called “decompression melt” occurs and more magma is generated thus widening the rift further which results in even more decompression melt of magma. This is why really deep Earthquakes are so significant as they could be the signal of fresh magma moving into the system and potentially cause an eruption. At this point, we have to take the varying thickness of the Icelandic crust into account. The closer a cluster of earthquakes are to the bottom of the crust at that location, the more significant they are. A couple of months ago, there was a great swarm of earthquakes on the Reykjanes ridge close to Eldey and Eldeyadrangur. The crust there is no more than 10-12 km thick and the earthquakes ran from about 10-12 km and moved upwards to finally about 5 km below the surface – and over a large area too. From “privileged information from anonymous sources”, we knew that an eruption was seen as a 50 – 50 probability. I was thinking a lot about that as the Bardarbunga eruption was occurring. The snow on top of the volcano is the most thick in all off Iceland. 800km thick I believe. The plate spreading is amazing too though so when a big amount of earthquake in the whole of Iceland that is the spreading. But with the hotspot being where it is the magma does rise up at the same time. Don’t you love it. Seems that Tungnafellsjökull is clearing its throat. If it goes off, we may as well blame this post..
Unenrupted magma could fractionate, perhaps? Hello, non volcanic post here, but does anyone have a URL for the ad blocker that was on the old site tools list? Try Adblock Plus: https://adblockplus.org/ I find it helpful. downloading takes time, you know ;-)..
Quite a few quakes over a large but defined area, mostly very small, mostly very shallow, all 99%… not attaching great significance to it, it’s just… interesting, and I would like to understand it. And I just had a dream tonight about watching SILs loaded with harmonic tremor and feeling shaking, but I cant remember which ones I was watching. So I decided to check VC and Jons page when I woke up, and here it is, an article about Iceland, and at the same time Jon had a write up on the Hamarinn swarm with peculiar looking SILs. I guess it would be nice if the IMO list gave estimated crust thickness at the coordinates. Or if we had some means to automatically flag those as interesting. Since the Holuhraun/Bardarbunga event last year I am following Iceland via the IMO eathquake maps almost every day. The article helps what information to pay closer attention to. 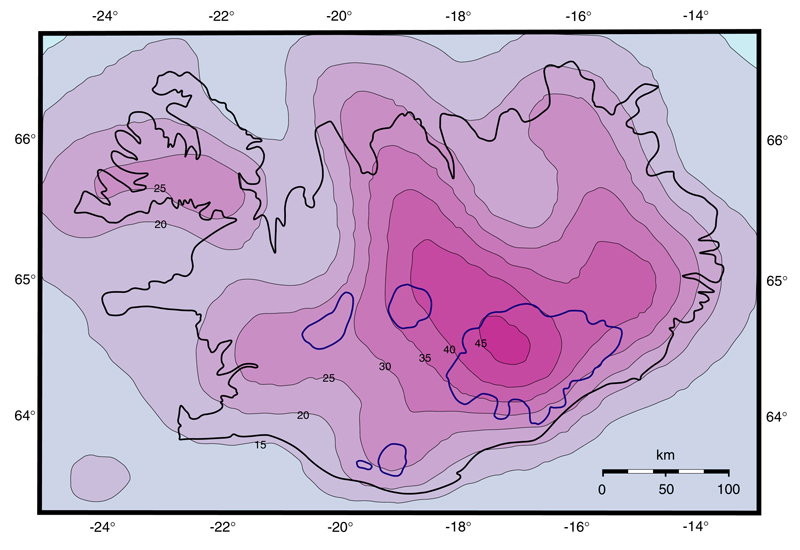 Looking at het map of crustal thinkness I am surpised that the thickness is relativly large under Vatnajökull … I would have expected it is relativly thin, because of the temperature anomalies beneath the riftzone (Palmason figure redrawn at Weisenberger’s website). Why is is it that thick at this particular spot? That is a very good question! Perhaps best to think of the crust as an iceberg. 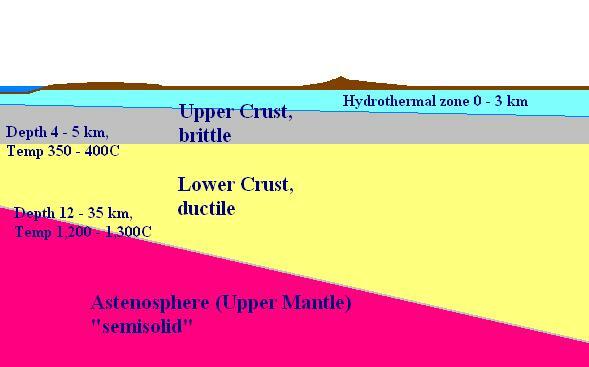 Just like ice is less dense than water, continental crust is less dense than the stuff underneath (or the ocean crust). For an iceberg, only 10% is above water: the rest sits below water and carries the weight. If you ‘thin’ the iceberg (melt a bit away), it will sit lower in the water (and is more difficult to see – remember the Titanic) . Similar, if you ‘thin’ the crust, the surface will also sink. This has happened for instance in the African rift which is 1-2 km below the surrounding land. Death Valley is also a nice example. So if the crust were thinner around Bardarbunga, it wouldn’t have been a mountain but a valley – a graben. Why is the crust thick in this part of iceland? The magma rising through the rift is creating new crust there. So on either side of the rift, thick new crust has build up. Once the plate starts moving, it thins out again but it takes some distance away from the rift before the full plates reach their full ‘speed’ (5 cm per year). Why isn’t the crust so thick elsewhere along the rift in Iceland? Because more magma comes up underneath Bardarbunga. It acts as a funnel. Thank you Albert for the clear explanation 🙂 . It is interesting to overlay the fissure swarm and crustal thickness maps from Weisenberger’s site. The fissure swarms do not match the crust thickness exactly and there is a bulging of larger crustal thickness from, lets say, the MIB to Sauðárkrókurat at the northern coast (caused by a extinguished swarm system I guess). Remarkable that the difurcation in crustal thickness can’t be recognized in the rift propagation map. The thinning of the crust is not regular? You can see the bifurcation a little bit in the two maps but the crustal thickness does not follow the northwestern branch well. It looks as if the newly generated crust is mainly moving towards the northwest. Thick crust away from the rift may be the memory of past activity of the rift. 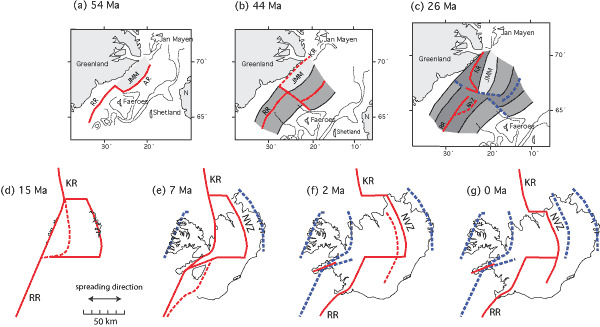 In Iceland, activity can shift between the two rift branches over time. I remember a discussion whether the activity was in slow motion towards the east, or moving back and forth. It wasn’t conclusive either way, I recall. …it would seem that accreation or growth is accelerating indicating that magma production close to the hot spot has increased over the past millions of years which would be a partial explanation of the (astute) observation. Some graphics that Andrew (DownUnder) posted some months ago indicate the same as the hotspot was first under what today is Langjökull, then Hofsjökull and now Vatnajökull and his graphics clearly show that of the three, the volume of the first is the smallest and of the last the greatest. perhaps an overlay between these depictions (which are of course sketchy and don’t catch everything that goes on) and the crust thickness maps would be helpful. Does any reader know how to do this? You could complain to the cloud appreciation society (https://cloudappreciationsociety.org/). Volcanoes require blue-sky thinking. great informative post as always . Apparently the geologists monitoring cotopaxi aren’t ruling out the chance of a large eruption. Of the two scenarios they listed, the second one mentions the possibility of a VEI 4 event. Won’t be surprised if level 4 event occurs given the history of the beast. I would be cautious about stating anything in absolutes here. We don’t know what the probability of anything happening right now is. We know there has been quite a few VEI-4 eruptions, so obviously there is a decent chance for that, but without completely knowing all the factors, conditions, and variables, I wouldn’t say the odds of a VEI-5 are entirely none. One of the risks right now, is that the current low level of activity will make locals complacent and reluctant to evacuate in the event of a true larger episode of activity starting. Having read the bulletin GiggleTranslate-aided, the impression I get that the main scenario is 2 a) (a slow decline) and that 2 b) requires a new infusion of magma. Even so, 2b) speaks of a series of eruptions over a period of months that in total will add up to VEI 4 (as Eyjafjallajökull did). However, they do explicitly say VEI3-4 for the initial eruption, but don’t expect a Grímsvötn 2011 or Kelud 2015-type VEI 4! It is worth noting that earthquake intensity has died down significantly in the last few days at Cotopaxi, as emissions have also slowed down. This could indicate a slowing of the eruption process, but it may also just be a temporary lull until activity picks up again. Hard to say one way or another. One additional little factoid is that while earthquake intensity has dropped, the acoustic intensity has done the opposite, where it has increased since the drop in earthquakes. I don’t know a ton about acoustics and how they possibly related to eruption process (at least in this specific instance), but it is no doubt interesting at the very least. News in the national tv in Iceland of possible magma buildup in Bárda, and if so it is likely that Bardabunga will erupt next, talk of new equipment being used to measure deep quakes, do you know where one could see anything from those ? there was a 5.4 EQ smack on the plate convergence under Tokyo, Mt Aso isn’t far from that, coincidence ? Aso is a long way from Tokyo, quakes of >M 5 happen all the time in Japan (18 in the last 30 days) – so no – there’s not even a coincidence there. Mt. Aso is very far from Tokyo, on a competely separate island. I think you’re confusing Hakone with Aso. cuador’s Cotopaxi volcano sent ash flying more than five kilometers (two miles) into the air, triggered by four explosions inside the mountain. The gray powder spread quickly and covered roads and buildings south of Ecuador’s capital Quito. A state of emergency has beeb declared in the country. Several villages around the volcano have been evacuated. Mount Aso, Japan’s largest active volcano, erupted on Monday, sending plumes of smoke 2 kilometers (1.2 miles) into the air and prompting tourist evacuations, Japan’s Meteorological Agency said. Dramatic footage of the massive eruption was streamed live, with volcanic ash visibly filling a large area. There were no immediate reports of damage or injuries, but local authorities have pushed up the danger level to three out of five. People are really bogeying out of the area in a hurry! Sorry about leaving out E of Ecuador in previous post. Massive eruption? That was a moose fart! From what I saw, that mainly looked phreatic. Or it could be a sign of things to come? No moose on Aso.. There was no precursor activity or any warning, so phreatic seems most likely. That can of course itself be a precursor activity. But is shows there is life in the beast yet. I have yet to meet a moose that would give warning of its intention to fart, anyway. I think Biologique may be quoting the newscaster (a class of professionals to whom truth and proportions are unwanted obstacles in their quest to have us all strapped to our sets, slack-jawed drooling at their least word, spellbound by their magnificence). I was, I should have put in parens I assumed, incorrectly it seems, that people would take it as a quote. My boo-boo. And yes it looks phreatic to me too. Glacial melt water? No glaciers at Aso, but plenty of groundwater. The crater had a boiling lake in it when i was there many moons ago. I found 2 intresting new stories today. It seem like the future will be intresting when it comes to ‘Bárðarbunga’ :-D.
One should never take anything for granted where volcanoes are concerned but even so I feel that an eruption nearby and not from Bardarbunga itself is more likely. The earthquake data suggests that a fissure or conduit has opened up from BB to Tungnafellsjökull and there has been a lot of activity there over the past ten months or so. Also, there’s a lot going on at Hammarin as well as a small but deep swarm directly underneath Askja (18 km) very recently. So it means that the news here must be more serious when so many are reporting about it. My vote is with the 19:31 Henrik scenario. In support of TG McCoy’s 14:41 observation, never underestimate the capacity of a “news” person to make s$%# up or to take something out of context. They have even been known to pull stuff out of their arse and treat it as established fact. Is Bardarbunga being a puppet master here? Sending off intrusions into and triggering eruptions in the nearby volcanoes? The Holuhraun eruption was interesting to watch develop, so could the same thing be happening again with Bardarbunga intruding into its neighbours back yard? Thanks for the post, Henrik. Very helpful for reading the signs of the times. 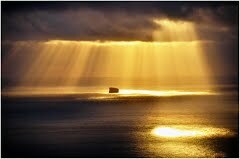 @ Tom-Helge: Thanks for posting the links. I am not reading too much into the fact that the news is being reported in several places: they are all picking up on the RÚV story concerning Páll Einarsson’s views, and editors of these English language magazines have an understandable interest in promoting stories about the possibility of an eruption at Bárðdarbunga. Yep. Why report on actual news that is actively affecting people when they can make stuff up. Lakeview needs the tourist trade…. 4 quakes in the 3-5km today. moving up? I’m sorry but I don’t always believe in Paul Einnerson(sp). Mr. Siggurdson is the one I have more belief in. What the news freaks don’t understand is just how volatile and unpredictable that critter is. You get maybe 90 minutes warning and it’s game on. If you are standing on the summit and feel a rumble under your feet, it may already be too late. Hekla 2000 went pop about 15 minutes after the quakes reached the level of human perception. And they want to bury a freeway in sediment? Quite some time back, I tracked down a global plot that indicated average cranial capacity. One of the areas in the US with smaller than average size, was Seattle. Though it is simply a plot set-up for a comedy movie, it falls uncomfortably close to reality. Fact: The hominid with the largest cranial capacity was the much maligned Neanderthal. All hominids following them have had smaller and smaller craniums. The panacea that anthropologists tell themselves (and us), is that human kind became more efficient in the structure and use of the brain and did not require as much space. My argument is that Homo Sapiens, who managed to survive when Neanderthal did not, has ceased to exist, and only the stupid survived. Ergo – Homo Stultus. Don’t believe me? Just take a look at society around you and make a strong argument against the idea. Mike, let’s be fair! Páll Einarsson is the man who at 17:47 on Feb 26th, 2000, had the guts to issue a warning that Hekla was about to blow, something that duly happened at 18:17, on the strength of a single mag 2.3 earthquake at 17:30 accompanied by a slight drop in strain at a borehole. He was later wrong about Katla in 2010-11 and again Hekla in 2012, but at least he has the guts to speak out even if he may be proven wrong. The man has both guts and a backbone! Also, he is a “disciple” of Haraldúr Sigurdsson (who together with the late Ian Carmichael are the intellectual fathers of modern volcanology). Katla did manage to produce a small subglacial eruption in 2011. Australia has 5 or 6 chains of volcanoes close together, all aligned north-south with the same age gradient. This paper appears to have joined up two of these chains to make a longer one. The chains have similar ages and together trace quite an extended warm region which melts through any weakness it can find as Australia flees north. This paper seems to say there is a hot ‘spot’ within this much larger warm area but I am not sure that is proven. It could also be a line of crustal weakness. The youngest australian eruption was at Mount Schanks http://volcano.oregonstate.edu/vwdocs/volc_images/australia/schank/schank.html less than 10,000 years ago. The full chains are 4500 km or so in length. It is an intraplate chain, so similar to Hawaii although not nearly as active and not quite as long. I have been on the Warrumbungles volcano: walking around the Breadknife is impressive but you shouldn’t suffer from vertigo. I remember reading up on some of the Maars a number of months ago, I was interested to see if there were any folk law, dreamtime stories. Some say the events may have been as early as 5k years ago. That is quite possible a reference to an eruption. It is reportedly a scoria cone with a thin lava flow. (I wonder why the people used the same word for themselves.) It could be interesting if there were a new eruption in this region. Great for tourism. But as you say, if the area were to wake up, well…! There are many dreamtime stories, also native island myths about tsunamis that probably saved some lives recently… of those who still know the old stories and that they had to get to high land immediately. Some Christian converts did not. Forgot where I read it. Sorry. 🙂 If only we would learn more from our past human experiences. Aysh. Very interesting. Thanks for sharing, hen 🙂 There’s a chapter in Oppenheimer’s ‘Eruptions that Shook the World’ which recounts a number of similar stories that replicate in their telling actual historical eruptions. Definitely worth a read. Attr. to a Haida chief. You have to be a little careful with interpreting stories based on old events, but it is certainly possible that they describe old memories. In the western world, the common story of a great flood comes to mind, often said to date to the flooding of the Black Sea. Language itself can also reveal a distant past. For instance, english still has two different words for ‘sheep’. The other one is ‘ewe’, which turns out to exist in many western languages, Latin, and possibly even Sanskrit. The word must have come with the great neolithic migrations from the east. Similar common words exist for cattle (also used for ‘wealth!’), horses, wheel, family relations, snow and rain, houses, but not for sea or ocean, nor anything resembling a volcano. It gives an idea where our language came from (in-land, obviously), but also how long it can survive. Warm day glacial-melt mud flood at Mt. Shasta. Listen to the rocks! Would not be anywhere near this-on the ground, anyway…. Mountain conditions can change very quickly…. But the temptation to be near something so strange and powerful is mighty strong. . .
As a kid I watched a flash flood up close in the middle of Nevada with my dad. We’d gone out to hunt for petrified wood, watched a summer thunderstorm perch itself on a mountain nearby and stop there. Dad moved the Jeep to the side of the wash closest to home, and then we waited. I was getting pretty bored when we heard it finally–this same sound of big rocks hitting each other. When the flood rounded the corner a hundred yards away, the face was 18 inches tall, probably moving ten miles per hour. We stood on a little hill, maybe 20 feet above, and watched it roar by us. Something like five minutes passed and then, over the top of this low boom-boom noise was something that sounded like a train coming. Looked up to that corner again and another face was rushing down, this one four feet tall. Dad picked me up and ran. The wash made a little turn around the hill we’d been on. This second wave didn’t turn, just went right over the top of it, spread out a bit but it was still two feet tall and going maybe 40 miles per hour. We flopped down on a much larger hill and watched. That wave lasted maybe a minute and–no exaggeration–took multiple feet of dirt of the top of the little hill. Dad just kept saying, “WOW!” Over and over, just “WOW!” Never saw him struck dumb before or since. Water in motion doesn’t really care what’s in the way… or who. I have my own porcine story… but I will not relate it here since the parties involved could actually learn of it here. Does anyone know what is that feature SSE of Grimsvotn that is getting regular quakes lately? Could be an old unknown volcano? There is a glacier outlet going there which could easily erode away any surface volcanic features on ice. Nice one. Sea level rose by 10-12 meters between 7000 and 8000 years ago, before it largely stabilized. Earlier than that, there is some uncertainty whether the sea rose continuously at about this rate, or that the rise happened in spurts. (Perhaps the ‘18,000’ in the title should have been ‘8,000’ as 10 meters could be enough to explain the stories?) Over one generation that is ‘only’ 25 cm so you would need to transfer information between generations to notice this. But what actually happens is that one year a big flood comes in further than it ever did before, and does damage that never goes away. Such events do make stories. It would be churlish to point out that the current rate at which the sea level is rising is close to the rate between 7000 and 8000 years ago. That nothing in between is what is often referred to as the ‘dead zone’ here at VC. Seems like Bardarbunga liked what Páll Einarsson said the other day and decided to shake it up a bit. 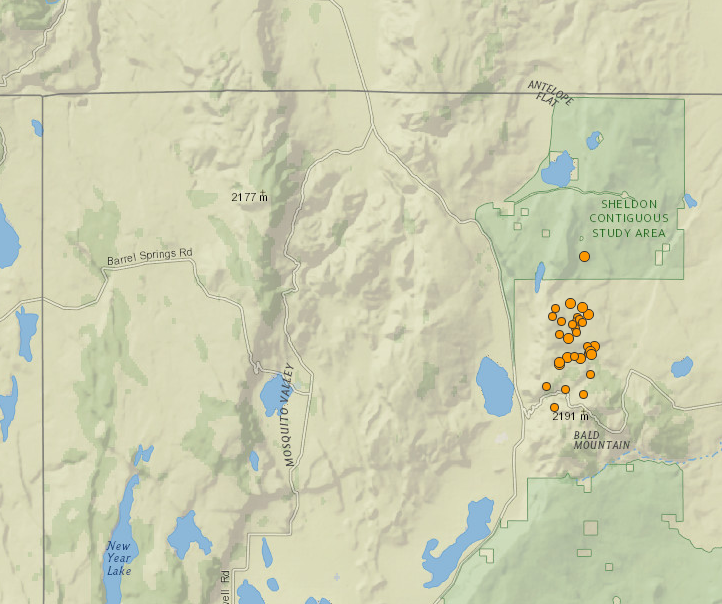 A couple of the quakes are quite deep at 12km+, so it sure looks like there is magma movement going on. Just in case the staff grows tired of blowing up the Dutch next april. USGS reporting a magnitude 7.9 earthquake off the coast of Chile. … and Copper freaks out. Time to keep an eye on your air conditioner. When copper prices climb, copper thieves come out of the wood-work. A while back, we even had one who left a really nice scorched palm print on a transformer at a power substation. Thieves aren’t always as smart as they think they are. Anyway, at current prices, 2 lbs of copper is roughly worth a pack of cigarettes. Wells-Coppersmith warns that the relationship formulas in a reverse fault scenario are not valid at the 95% confidence level. Out of curiosity, could this earthquake have an impact on the activity we are seeing at Cotopaxi? I’m guessing “cloud”. We get them all the time here. Usually they billow up and become thunderstorms. (I cheated, I went to the cam and saw what is now a fairly puffy cloud). … but, I’m no expert. It could just as well be exhaust from an elicit still. Big quake! It is a region that suffers them a lot. Below is a picture of all earthquake of magnitude 8 or larger around the pacific, for the epochs 1900-1950, 1950-2000, 2000-now. (Data from the USGS.) It can give an indication which regions had very large quakes in the past but not since 1950. The timeline isn’t really long enough to draw conclusions. But two regions that stand out are New Zealand (especially the North Island) and the Chinese coast to southern Japan. interesting looking at both the 50 yr maps there are large quakes in Canada, north of india and south of the Phillipines plus near San fransico – are each of those spots thought to be ‘due’ for a bigquake in this next 35 years based on that ? Is it fair to assume plates continue a motion at the same average speed, so ‘tension’ would build at same speed, and so need releasing at roughly even periodicity? Different regions have different ‘peak’ earthquake sizes and different repeat times. 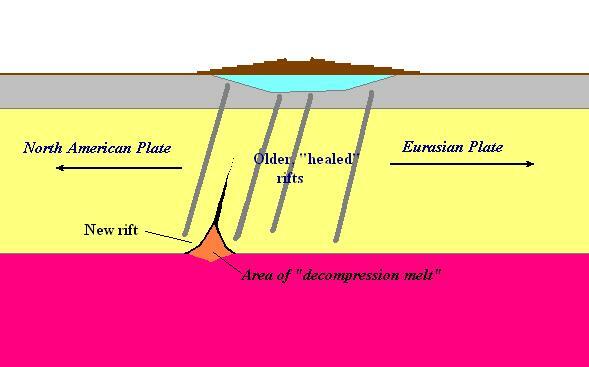 The biggest ones occur where plates move head-on, straight subduction. The speed of motion is also different in different places. So Chile gets a lot but central America does not. In California, the plates slide past each other and earthquakes are not quite as large. The 1908 San Fransisco quake was too small to make this plot! The speed of motion is also different in different places – that’s clear, but do the plates of speed X continue to move at speed X – or do they speed up/slow down in any meaningful way ? are there known changes to plate speeds – or do plates that are being subducted sail on at roughly the same average speed all the time – until something big changes (or they are finally subducted out of existence) ? That is, in 15 years we are already at 73% of the amount in the past 50 years, and compared to 1900-1950 we are at 56% of that amount already. If this current trend continues, we would have around 59 such quakes by 2050. It’s going almost literally like clockwork… 9am 3pm 9pm 3am 9am… every six hours to within a few minutes! This article states although Cotopaxi looks calmer it is building pressure and a slow dwindling of the eruption is less possible now..They seem to be leaning towards stronger pulses in the future. USGS has just raised the alert level for Mauna Loa in Hawaii from Normal to “Advisory”. “Volcanic Activity Summary: HVO seismic stations continue to record elevated rates of shallow, small-magnitude earthquakes beneath Mauna Loa’s summit, upper Southwest Rift Zone, and west flank. For at least the past year, the rate of shallow earthquakes has varied but overall has remained above the long-term average. During this same time period, HVO has measured ground deformation consistent with recharge of the volcano’s shallow magma storage system. Together, these observations indicate the volcano is no longer at a background level of activity. Accordingly, HVO is elevating the Mauna Loa alert level to ADVISORY and the aviation color code to YELLOW. Its something to keep an eye on. While right now there are no clear sign it may erupt. This is something that one would expect to happen before an eruption. Just don’t get your hopes up. The reasons given don’t seem quite sufficient to go to code yellow. They may be trying to err on the side of caution. Eventually a new eruption is inevitable, but based on the data, that seems some time away. Bur USGS knows this volcano well. If it does erupt, it would be interesting to see whether it affects the on-going Kilauea eruption. Code yellow just means the volcano is showing activity that deviates from its normal pattern. Not that there is going to be an eruption per se. It sounds like they just arbitrary followed that description. Considering how many different volcanoes there are in the world, with each their own behaviourisms. I doubt there is much universal regulation regarding when to scale up or not anyway. Green – Typical non eruptive behavour. Orange – Eruption eminent or occurring with little or no ash emissions. Red – Eruption with Significant ash emission. out of Coos Bay/North Bend…. I seriously doubt that bridge will survive the main shock undamaged. HYPOTHETICALLY… should a 10 meter tsunami hit Coos Bay… this is the sort of run up that could be expected. but it was ‘strengthened” to withstand a 7.0 -I lived below a coffer dam that is NOT reinforced so that strengthening is just window dressing. 3DBulge seems to be down? Its working here, though doesn’t seem to fetch any data from IMO. Iceland Eruptions is down aswel sadly. Just when things were getting interesting again. 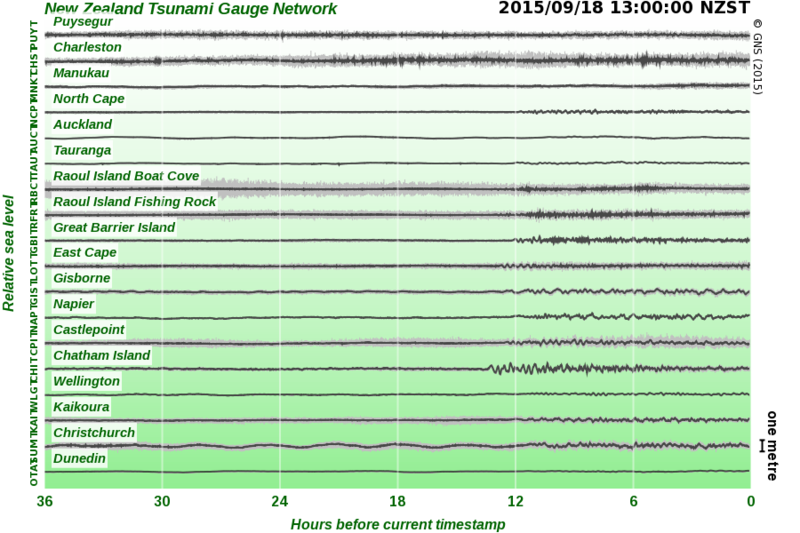 Here are the local (NZ) de-tided tsunami gauge charts from the Chile M8.3. They arrived on time and about as expected – well under 1m peak to trough. It’s the ones from close events that will cause us big problems here, megathrust event in the Kermadec Trench or a large event at sea anywhere close – Cook Strait area, and up the E coast of the NI. Well, judging by the verbage on the sign, it appears to be at a Walmart, though I can’t rule out that someone was pranking… for whatever reason. Walmart is a favorite target of people wanting to make them out to be idiots. Sadly i don’t think it’s a joke. You will find a disturbingly large number of very dense people as walmart employees. Seen it first hand here in Florida. There’s a lot of deep level rumble at Habunga. Is that the station close to Hekla? New post is up! Revealing the next proposed new decadal volcano: one that has people living not only nearby, but even inside. Who cares?